Keep your coffee, tea or any beverage warm for that matter during your morning commutes, late night drives or even those road trips with our travel mug. This stainless steel travel mug is designed for convenient use while traveling, at the office, in your home or outdoors. The travel mug fits into most car cup holders and can be detached from the included 12-volt adapter cord easily. Just plug the adapter into a cigarette lighter socket and you have yourself a deliciously warm cup of coffee. The heat element is contained in the base of the insulated travel mug - so no mineral or beverage residue can build up on the heat coil! If you want to make custom 12 Volt Heated Travel Mug with your logo,slogan,telephone,website,email , please send us your design or give us instructions about your imprint.We'll send a free virtual art proof for your approval,you can ask a real sample with logo before production too. 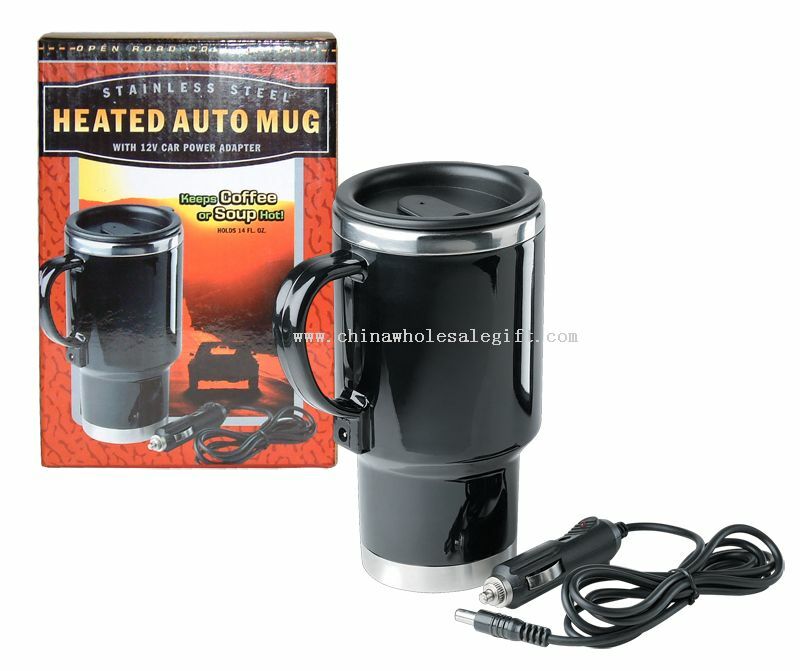 Our 12 Volt Heated Travel Mug is popular as promotional,advertising, business,corporate gifts.